When you open up your iPhone and reveal the list of installed apps, you reveal something about yourself. The same thing happens when you install an app from the App Store. 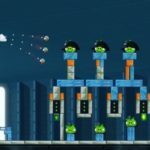 Each downloaded app reveals something about your ad tolerance — and I can count on one hand how many of my friends love ads. In recent blog post, Flurry has scoured through four years of pricing information for the nearly 350,000 apps to find why most apps are free (going beyond the obvious: to attract more downloads), and to find what consumers prefer: ad-free or ad-peppered experience. 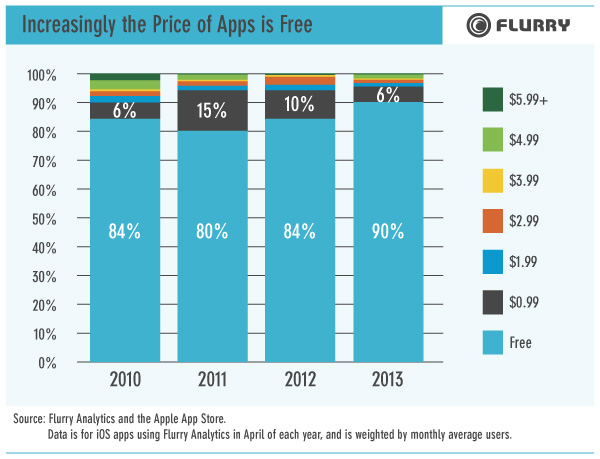 The Flurry analysis found that roughly 90% of the apps used were free, and there is a trend toward making the apps free. While this could support the idea that “content wants to be free,” this isn’t quite that black and white. The reason behind consumer choice is that they want free content more than they want to avoid ads or have the highest quality content possible. What’s interesting and supports the myth that Android users are less willing to pay for apps, is that the average price paid for Android apps was significantly less, compared to the price of iOS apps, as shown in the chart below. As you can see from the above image, iPad users tend to be the biggest spenders, more than owners of other devices, surpassing even iPhone users. So, in the end, what do consumers want? 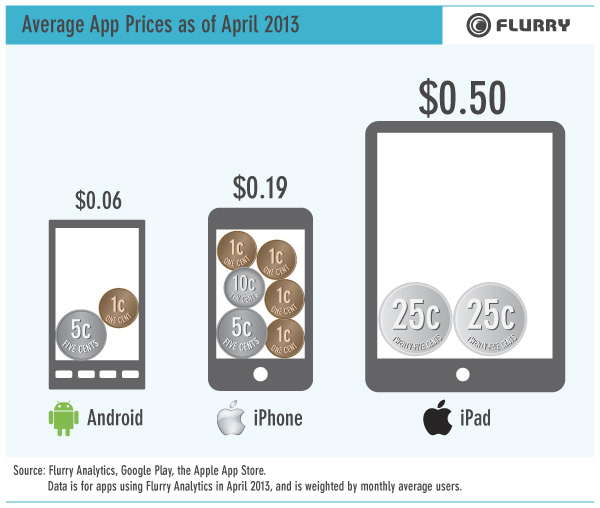 According to Flurry’s report, we are willing to accept in-app advertising in exchange for free content. This isn’t new: we are seeing, hearing ads in TV, radio, and newspapers. We also tend to save that $0.99 of $1.99, which is the average price of an iOS app, to enjoy an ad-free experience. Do you?